Monday morning blues and missing the sunshine already! Still the sun is definitely shining with this beautiful house near Cape Town. I don't think i would change a single thing. This clapboard-clad timber house is home to husband and wife Rob and Gina McClelland and their two daughters. 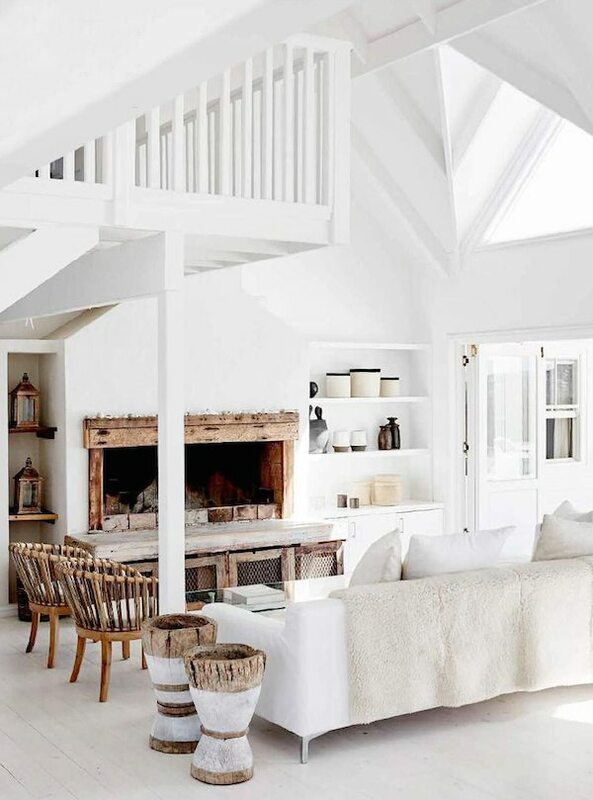 My favourite combo throughout the house of white and rustic wood and THAT view (sigh)! Happy Monday you all!